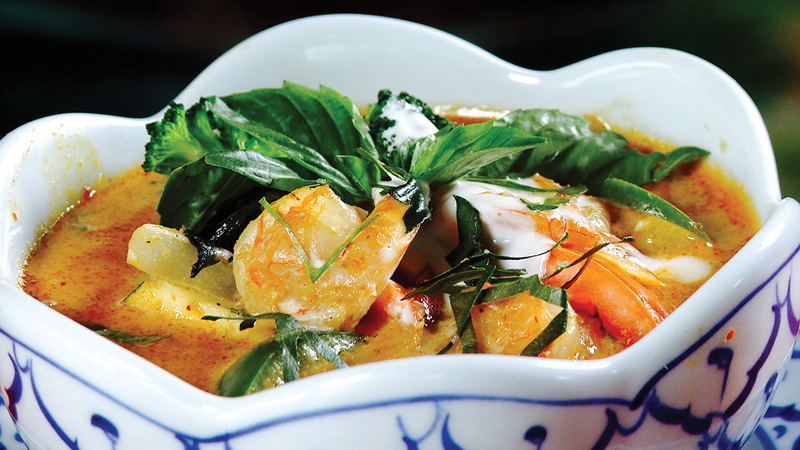 This very popular Thai restaurant serves sophisticated, authentic Thai cuisine in a casual bistro setting. Bangkok Happy Bowl Thai Bistro & Bar features award-winning, fresh and flavorful dishes including all the classic Thai favorites such as curries, noodle and rice bowls, as well as unique Chef specialties like the Pad Thai Lobster and Hawaiian Pineapple Fried Rice. Dine outside on the lanai and enjoy a specialty cocktail from the full service bar. The fresh sushi menu offers a variety of creative sushi rolls and fresh sashimi. Daily lunch specials and live music nightly.